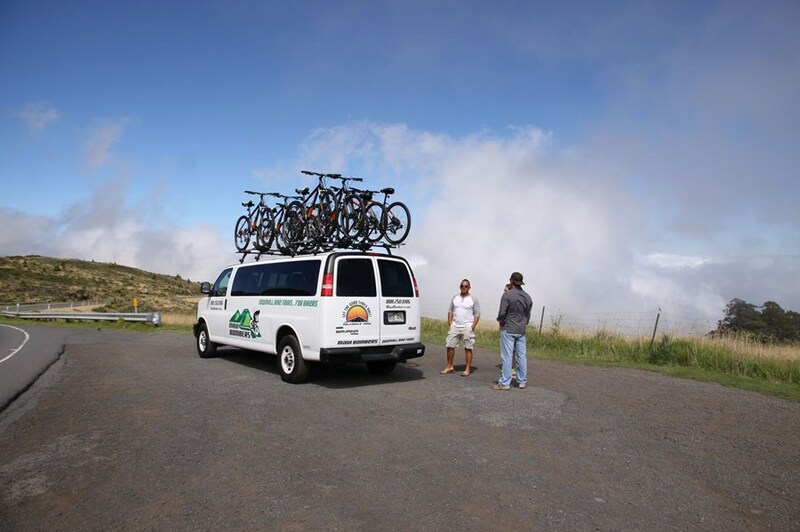 This is the only tour on Maui that combines biking AND hiking. 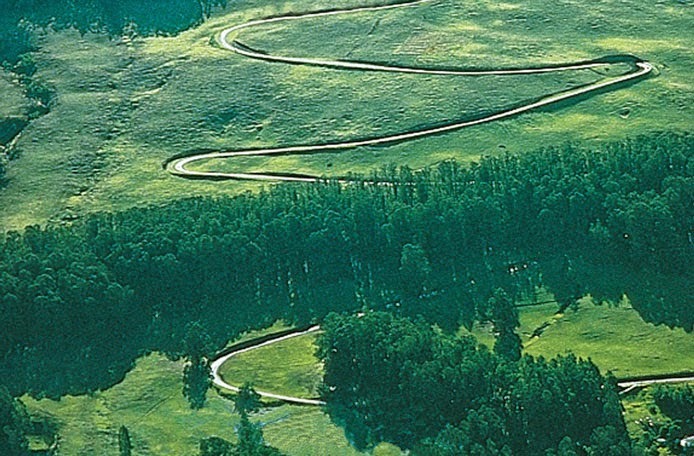 This Maui Bike and Hike tour is for the active adventurer who wants to burn some calories. You will be sore the following morning. Like our other tour, this begins the same. Same pickup times and locations. Same drive up,and same beginning of bike ride. 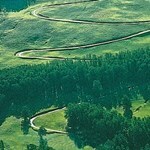 We bike through the ranch, twisting and turning through the switchbacks 7 miles. We’ll take a quick break to take some pictures and shed a layer of clothing. We’ll then continue biking another 3 miles to the beginning of Crater Road. Now this is where the bike ride goes from awesome to ridiculously awesome. 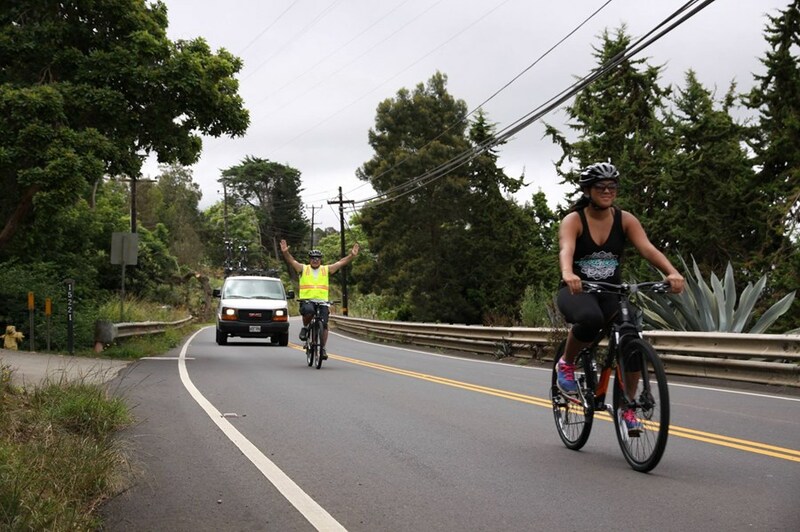 Instead of biking down Old Haleakala Highway, like all the other companies do, we bike up Old Haleakala Highway. This is the only bike tour to do this. Why? 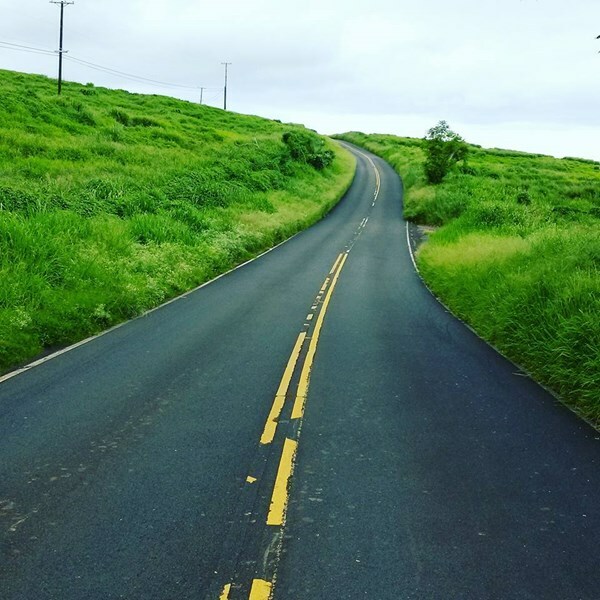 Because the 12 mile stretch from this point is like a roller coaster, up and down, and some of the craziest twists and turns, all the while experiencing some of the rarest and breathtaking scenery on the island. That’s why! 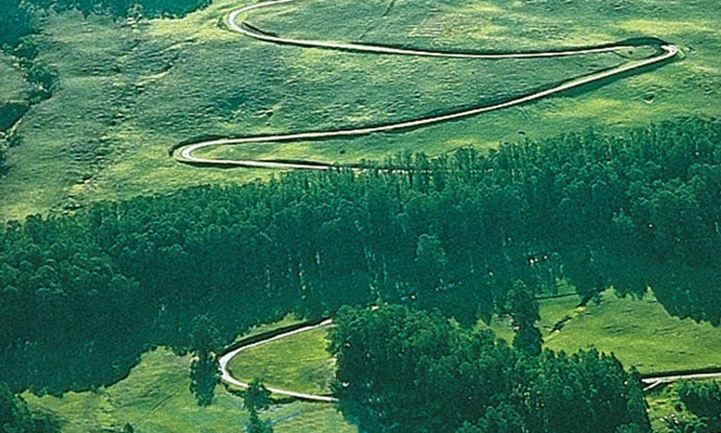 The 12 mile stretch includes 4 miles of uphill peddling, 8 miles of downhill cruising. 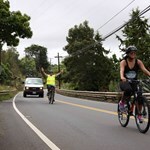 We’ll bike through Kula, Keokea, and end the bike ride in Ulupalakua, at an elevation of 1800 feet above sea level. 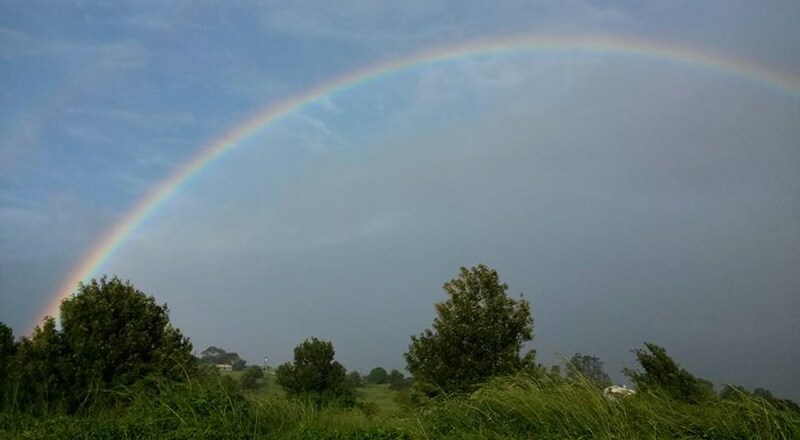 While here, we’ll give you a little tour of the Tedeschi Winery, and treat you to lunch at the Ulupalakua Grill…another hidden gem. But wait, there’s more. A lot more! 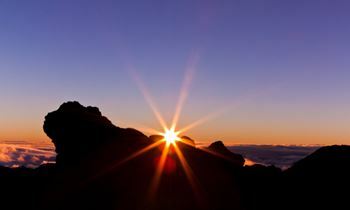 After lunch, we drive 5 minutes up the road, and begin our 3 hour hike down the south side of Haleakala. Amazing views the whole way down as we descend from 1800 feet above sea level, all the way to the ocean. We hike through beautiful pastures, lava flows, and beautiful coral beaches. 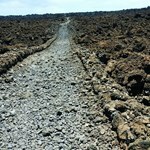 We’ll hike the King’s Highway through the last active lava flow…ending at La Perouse Bay. After some high fives, fist bumps, and hugs, our driver will be there waiting for us with some food and beverages, and you’ll be welcome to take a dip in the ocean. 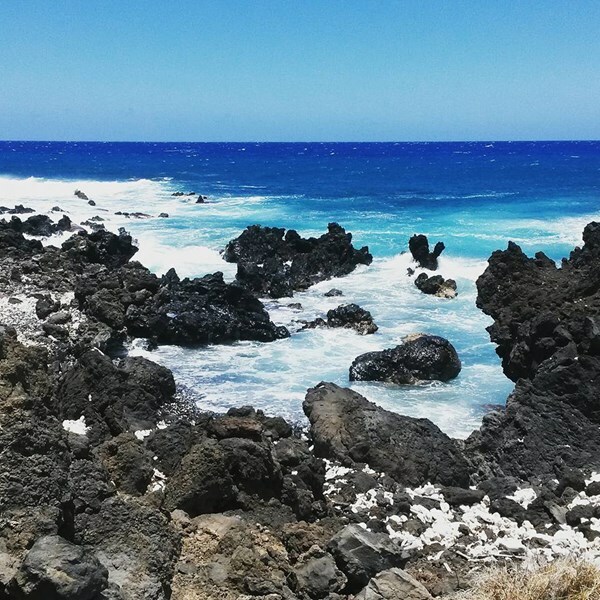 We’ll then drive through beautiful Makena to get you back to Wailea and Kihei. Pure awesomeness! Weekend Warrior Sa, Su 7:30 AM 9 hours Pickup is available from the following hotels: Fairmont Kealani, Four Seasons at Wailea, or Grand Wailea. Otherwise the pickup will be at the Kihei Safeway parking lot. Directions can be seen in the booking page & will be included in your confirmation email. See map below for approximate location. 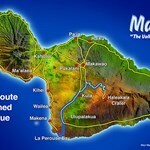 What makes your company different from other bike tours on Maui? Several things: 1. Length of the bike ride. 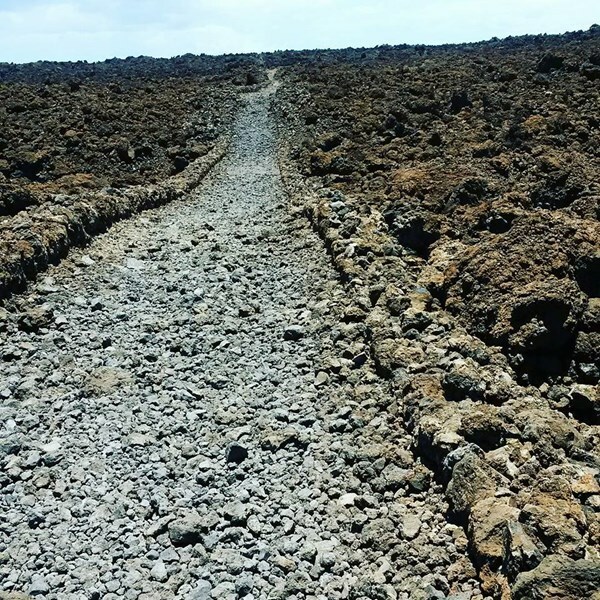 Because the other companies include a tour of Haleakala crater before their biking, they don’t have the time for a long bike ride. Their biking distances range from 15-25 miles. 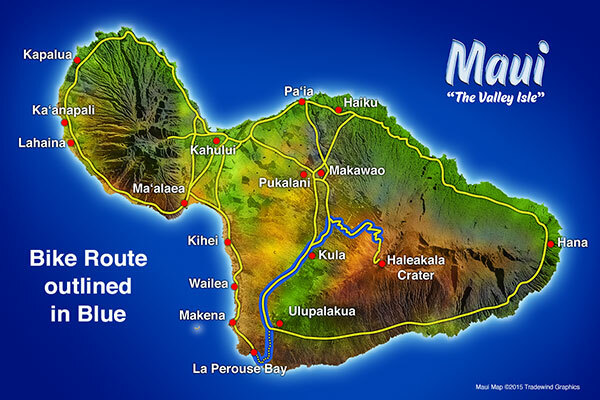 Maui Bombers is only about the bike ride, so we have the time to add distance. Our bike ride is 32 miles. 2. Equipment. As mentioned earlier, single speed beach cruisers are used by the other companies. Again, great bike for coasting down the volcano. Maui Bombers uses top of the line Trek Hybrid bikes with 24 speeds and thinner tires…makes for a much faster and smoother ride. When a group is maintaining the speed limit, there are less traffic passes to make…faster, more fluid bike ride. 3. Group size. The other companies will max out with 13 bikers per group. Maui Bombers only rides with 6 at the most. Small group =half the time to do traffic passes. Again, faster and more fluid bike bike ride. Smaller groups are more personal too. More fun. More space in the van! We have the same 15 passenger van as the other companies, but with a max of 6, it’s like luxury. 4. Our tours are catered to experienced bikers only. This is the Maui Bomber way. You have to be able to keep up! If you’re unsure, that’s what the other companies are for. As far as clothing goes, we provide wind breakers. 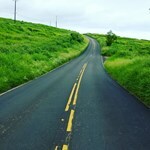 The temperature change from the beginning of the Maui bike tour to the end of the tour is about 30 degrees. Usually in the upper 50s to start and upper 80s at the end. So bring extra clothes if you want to shed. Also, bring your bathing suit if you want to cool off in the ocean at the end of the tour. Sunscreen is recommended. Age – We don’t care how old you are, but we do care how young. This tour is not for kids. Must be 18. Families are more than welcome to book a private tour with their kids. Minimum age allowed is 14. Weight – Our bikes can handle up to 260 pounds. Height – Must be at least 5 feet tall. Ability – We don’t require you to be a professional, but we do require you to be experienced. You must ride often and recently. Need to know how to shift gears, handle hairpin turns, and pedal to keep up the pace. Pregnancy – Industry wide restriction. No expectant moms. During or after the tour, you’re welcome to get pregnant. 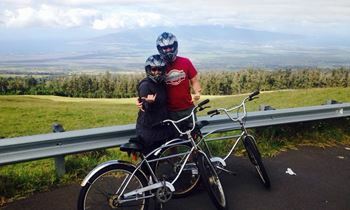 We had a great time riding Haleakala, Matt and Jessica were great. It was a highlight of our trip. With the personal guidance of Matt we had awesome and extremely enjoyable time riding. 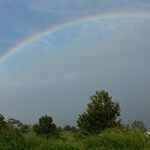 It was great knowing we had someone who was about what we were facing and bicycles. I would recommend it to anyone . This bike tour and the guides, Matt and Sean, really added to our vacation here on Maui. We are a family of six (parents and kids in their late teens and twenties) and all of us would highly recommend it. Matt has done this tour for years and is highly knowledgeable about the area. He was great at picking out the highlights and taught us a lot about Maui. They took us along a route we never would ... morehave found on our own. They have great equipment so you'll be safe and have a lot fun. What a thrill! The best bike ride we've EVER had. Matt and Darcie were the best guides on our whole trip.So much fun, information, and mostly laughs! The bikes were brand new and seemed to glide down...at some stretches, we must have been going 40 mph! Definitely not for the amateur! Our lunch stop was amazing in the cutest little town.The views along the way were mesmerizing....great,great tour...good ... moreluck guys!